For the past few days, many of you may be heard news about the seismic activity of Mount Agung. 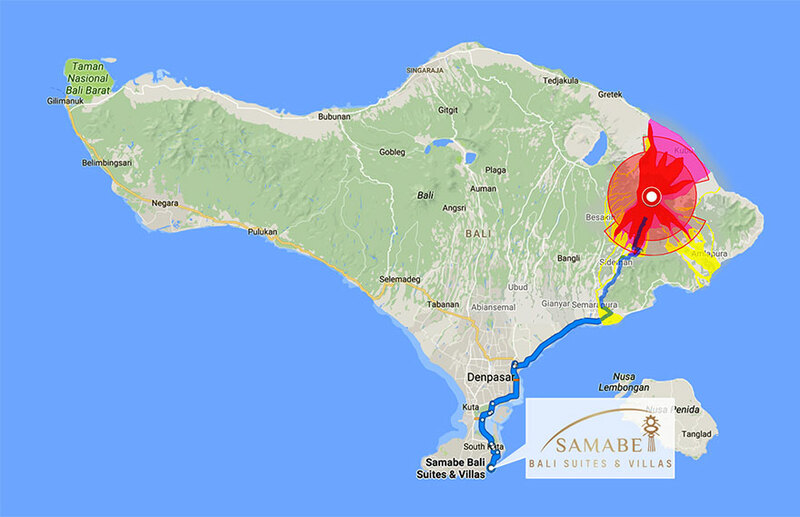 It is located at the North East of Bali, where the distance to Samabe Bali Suites & Villas is about 75 KM away. We would like to assure you that all the tourism stakeholders, including hotel, resort, tourist attraction and airport are still running as normal. 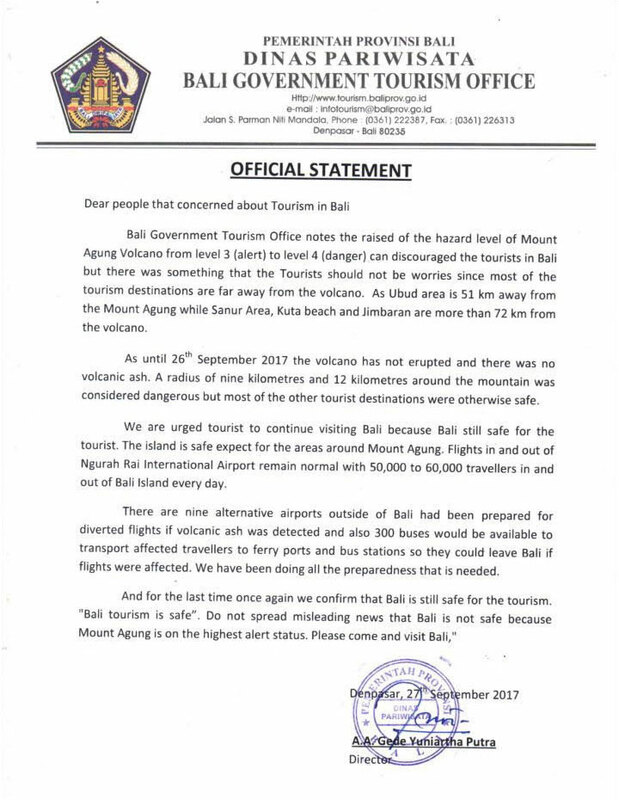 We would say that Bali tourism is still safe. However, no expert can predict accurately when Mount Agung will erupt, it is an act of God thus no one will know the impact until it actually happens. Therefore, there are nine alternative airports outside of Bali had been prepared for diverted flights if volcanic ash is detected. However, the decision is yours and we respect it and kindly discuss with your travel consultant for the available options. Samabe Bali Suites & Villas is five—star resort located atop the cliff of Nusa Dua, the southern part of Bali. It sits on an 8-hectares area with 81 suites & villas. It offers Unlimited Privilege or All Inclusive package consisting 24-hour butler service, unlimited food and beverage, and Samabe signature activities.